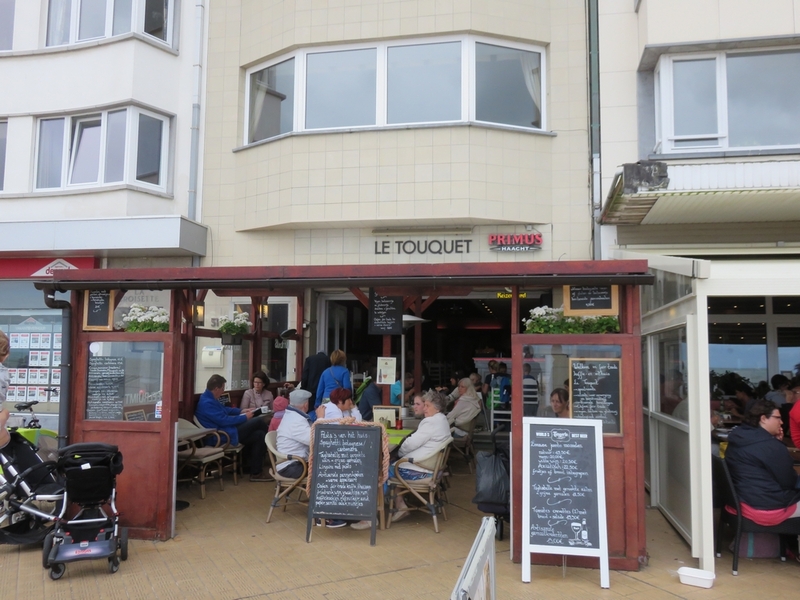 Restaurant review #111 – Le Touquet is a restaurant (brasserie style) on the beach promenade of Ostend. 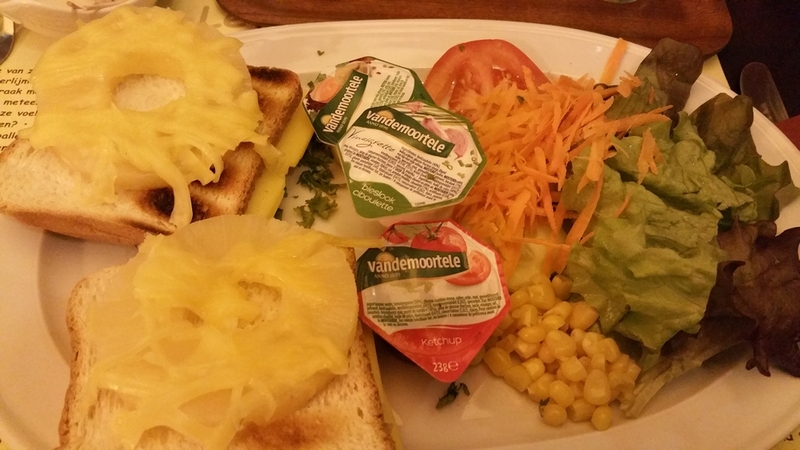 I had seen comments on social media that Le Touquet offers vegan snacks, like spaghetti and croques (toasted bread with vegan cheese, etc) and also vegan pancakes. 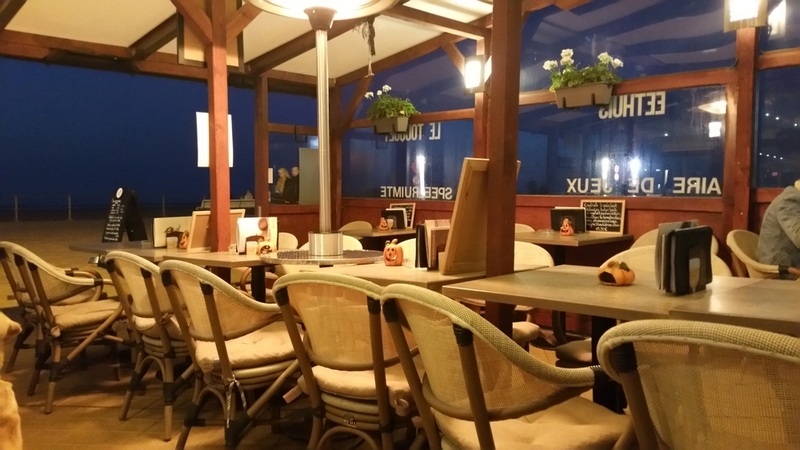 We had already taken a look inside one afternoon when in Ostend hoping to have a pancake, but at that time the place was nearly packed (and very crowded and noisy) and as such we did not fancy taking a seat. A couple of months ago we were in Ostend again for a concert in the nearby Casino Kursaal. 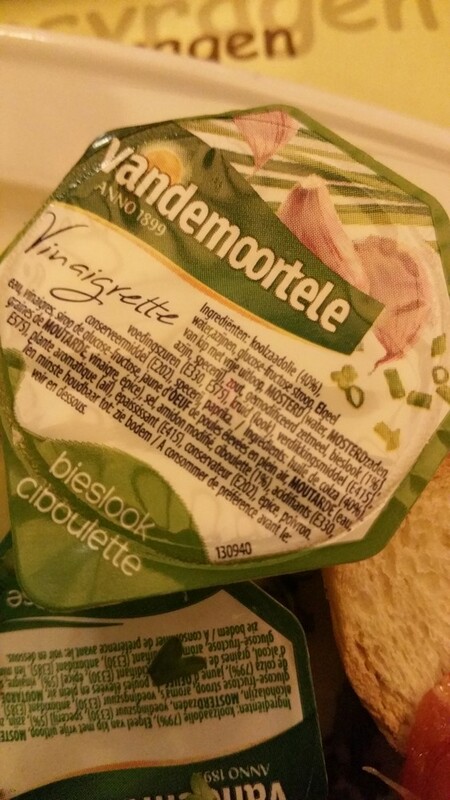 We had planned on eating homemade sandwiches after visiting family in Ostend, before going to the show. Helas, we forgot our sandwiches at home! So we headed over to Le Touquet, hoping to have a quick snack. (I did not have my camera with me, so the food photos are just from my mobile, and have poor lighting, sorry about that). 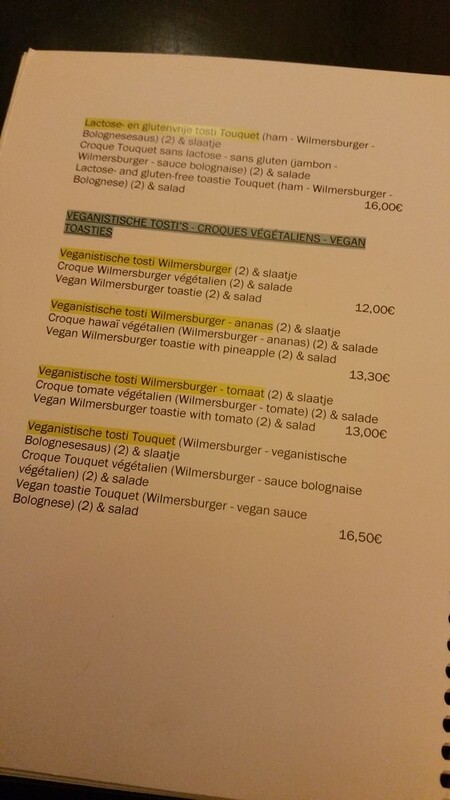 The menu lists several vegan options, like vegan tostis (with Wilmersburger cheese) We ordered a tosti with tomato (13€) and tosti with pineapple (13,30€). 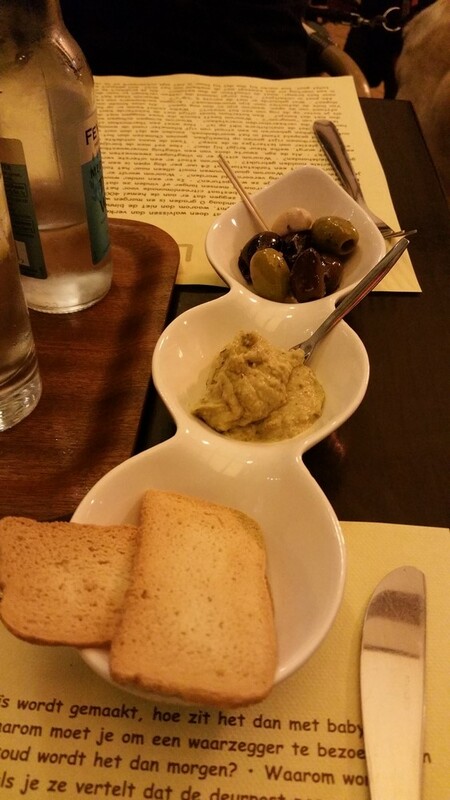 After ordering, we quickly got some small appetizers with our drinks: crackers with hummus and olives, which were nice. 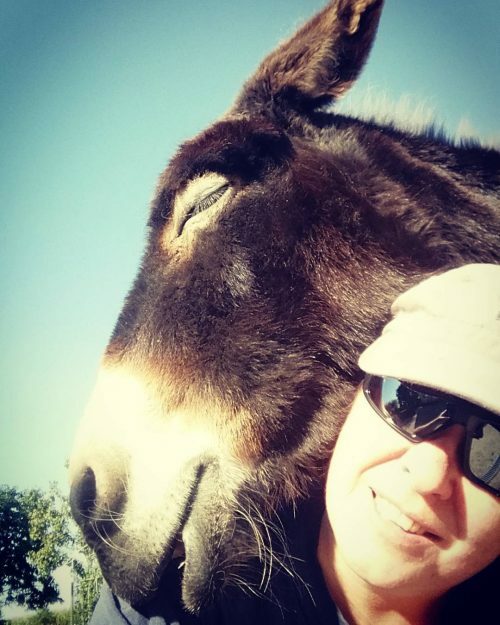 Service was also very friendly. It took nearly 40 minutes for our croques to be served (despite there only being a handful of other patrons in the establishment): the waiter came over to apologise, and said that they had forgotten to turn on the toaster By that time we were getting a bit nervous about the long wait, as we wanted to head over to the show in the Kursaal. The food was disappointing. 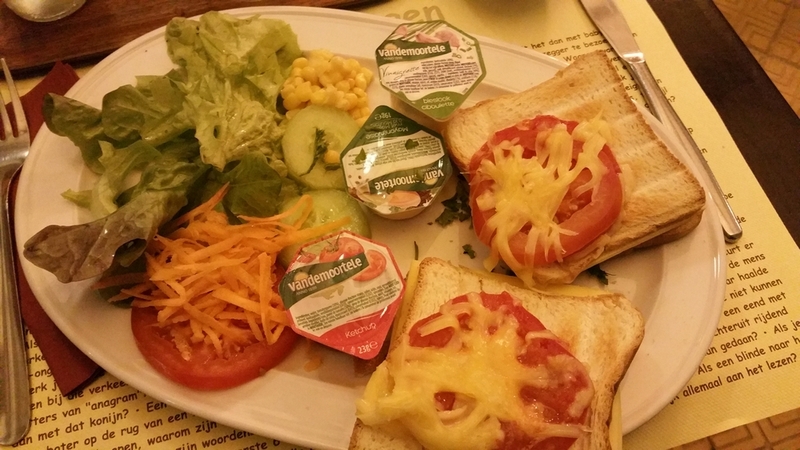 When being served, we noticed the prepackaged sauces on the plates (salad dressing and mayonaise), and asked whether they were vegan. Yes they sure are! the waitress replied. When looking at the labels, it was very clear that they were not vegan (one even had a photo of an egg on the label!). 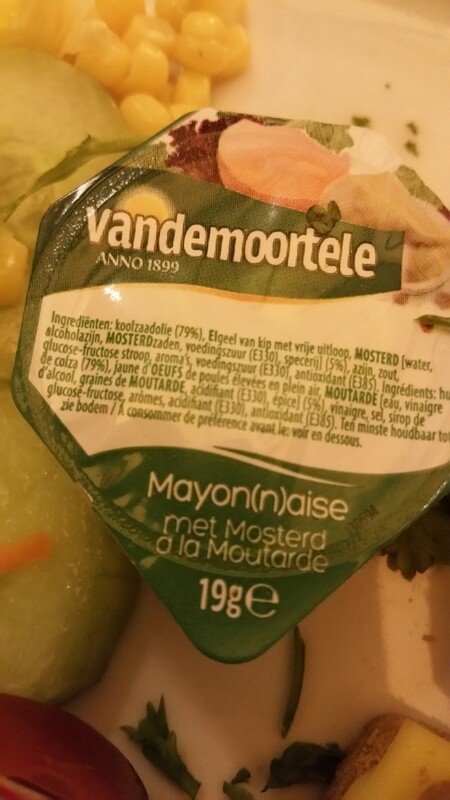 The tostis were OK (although the lack of knowlegdeability about the ingredients of the sauces was not reassuring and also made us doubt the bread). The salad on the side was disappointing: a rather stereotypical and uninspiring mixture of lettuce, tomato, cucumber, pregrated carrot and canned corn. 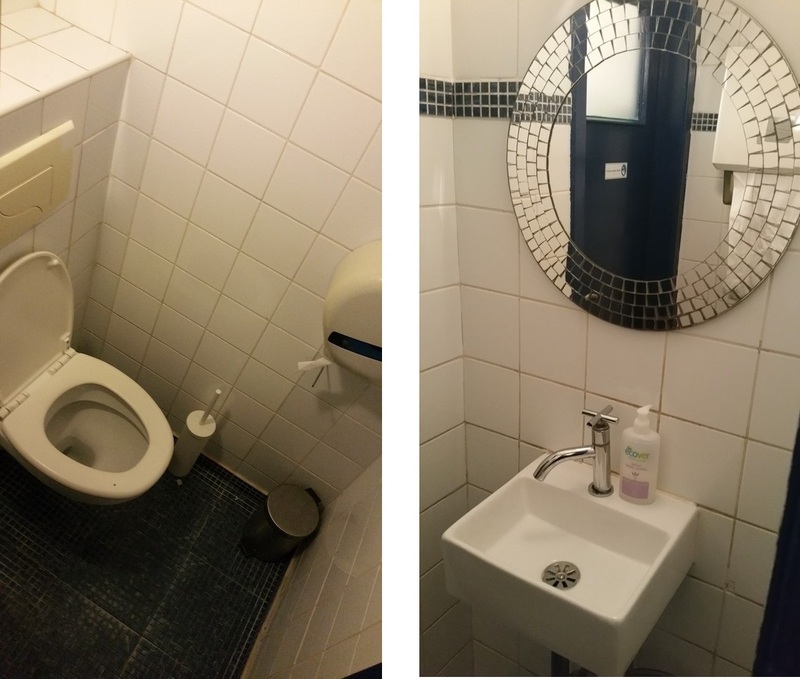 We left rather underwhelmed and disappointed. 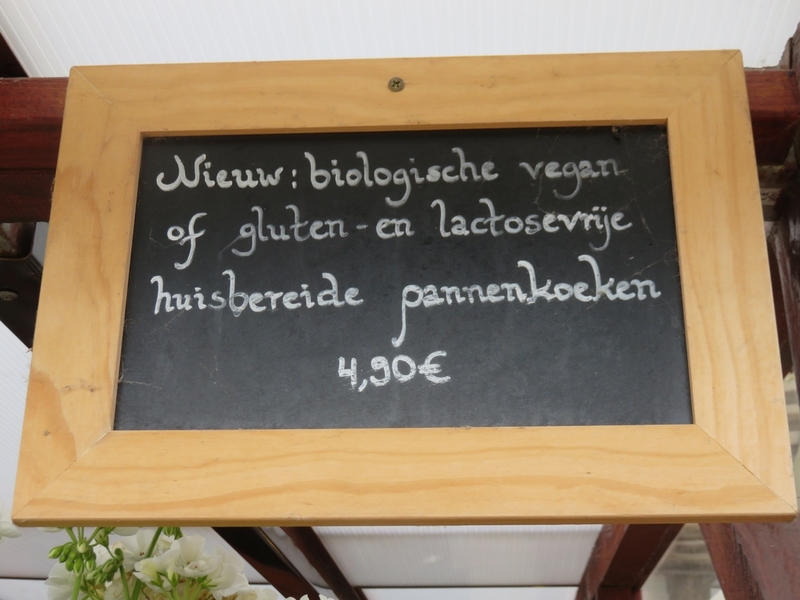 It is great that Le Touquet offers seperate vegan options. But culinary wise (and vegan wise) it needs some upgrading before we would consider visiting again. aaww sad! I was excited as I was reading this in regards to the vegan options, but …. guess they’re not fully ready for what that means!? Sounded promising in the beginning!